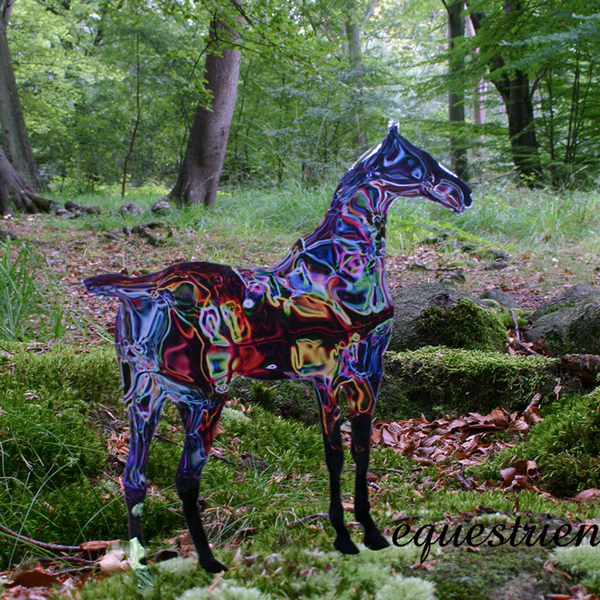 Equestrienne marks the return of Riz Maslen, who resumes duties as Neotropic with another varied range of electronic song arrangements. The album takes a while to really come to life, sauntering into life with a curious acoustic folk intro piece before the beautiful, yet almost dark ambient tones of 'Sirens Sister' arc into earshot with some distant cello scrapings and wailing vocals. It's only by 'Party Fears Too' that a beat arrives on the scene, and even here the production is darkly subdued, paving the way for slightly unhinged, occasionally shrill vocals to intone. More experimental, dissonant tones arrive in time for 'Hezbollah Girl', which bolsters itself with brittle IDM-style microbeats - an aesthetic which continues through the low-key melancholy of 'Love & Hate' and the crumpled production experiments of 'Burma'. One of the album's standout tracks is 'Muddy Water', an eight-minute electroacoustic piece for multilayered vocals and strings, which permits the production some welcome headroom.